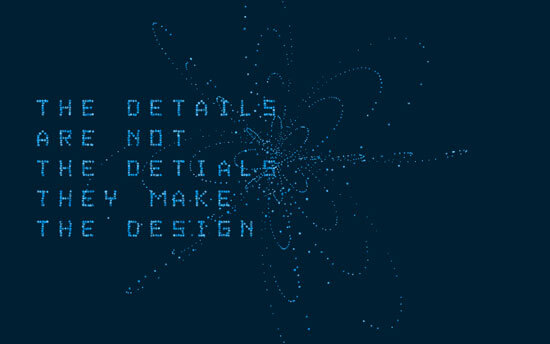 A piece of ‘reactive’ typography in which design-related phrases and quotations are used as the basis for an interactive projection created for the opening of the Design Centre at the University of Sunderland. 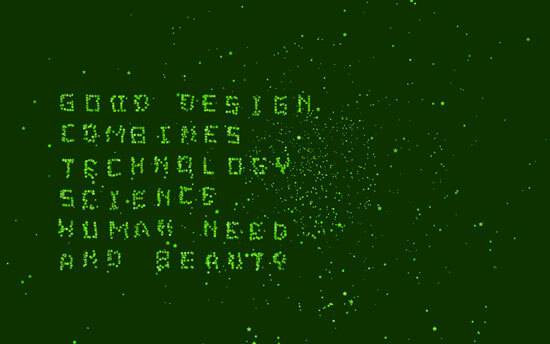 Words and letter-forms are created from a field of one thousand pixels which move and form into expressions and phrases which reflect a diverse range of views and opinions about design. 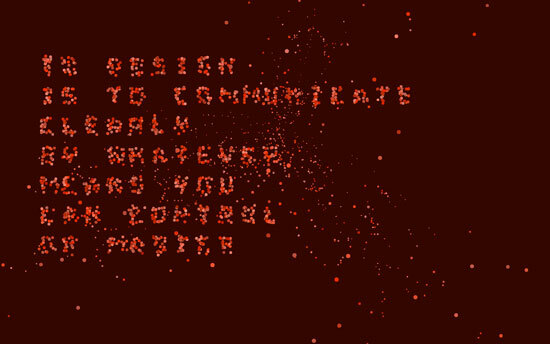 Computational code is used to generate an environment of interactive type which responds to external, ambient sounds, and shifts and moves into a variety of pattern and shapes before re-fomring to display a range of design-related messages.